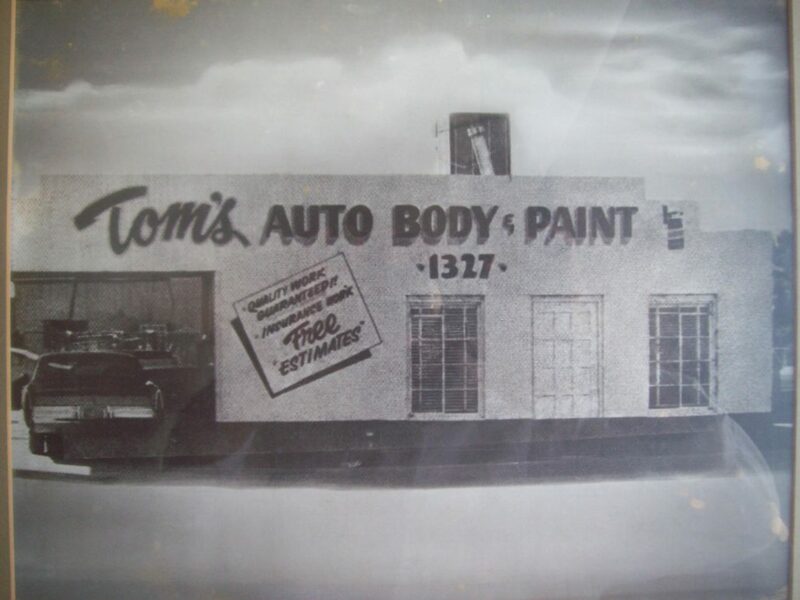 It all started in 1966 when our father, Tom Ocano, opened Tom’s Auto Body in the heart of downtown Phoenix. After working as a painter for various dealerships in the Valley for 16 years, and with a growing family to take care of, he decided to go into business for himself. More than 50 years later, and we’re still in the same spot, serving the community as one of the most experienced Phoenix body shops around. While our dad has since gone on to retire, he passed the business onto us, his two sons. Art and Ron took over the operation of the shop in 1990, where they continue to build relationships. We keep the business family-operated for the love of the art of repairing today’s vehicles, and continuing to serve the large customer based we’ve acquired over the last 50 years. As one of the oldest independently owned collision repair facilities in the Valley, it’s an honor for us to now be serving the fourth generation of our original customers. At Tom’s Auto Body, our specially trained professionals have the parts, tools, and expertise to repair any vehicle on the road. We combine amazing craftsmanship and state-of-the-art technology to restore your vehicle to its pre-accident condition. With A.S.E. certified staff and I-CAR trained technicians, we ensure your vehicle is repaired in accordance with cutting edge advances in engineering and factory specifications. Our dedication to providing quality collision repairs to our customers has established our reputation in the industry and our community, and it’s why we are a preferred repair center by insurance companies. At Tom’s, we’re all about keeping it in the family, which is why we treat every customer like family. We take great pride in restoring your vehicles to pristine condition, and providing you with excellent customer service. No matter what your auto body needs, book an appointment and give us a chance to make you part of the Tom’s Auto Body family!